Speaking of the track Jade has said "I loved the song the first moment I heard it. It made me feel good - it's a feeling more than it is just a great song. It's a great example of all the pop sounds and styles I like; it pulls them all together and sounds like a celebration of who I am as an artist. "I've always had a thing for 90's style pop - the days when Britney, Mariah, and Christina were on a non-stop roll with huge hits. I'm really inspired by powerful women like that, and I love them. It seems like a lot of that female pop-star attitude is coming back with artists like Katy Perry and Miley Cyrus, and I just love that. Samantha recorded her vocals in London, and the song was then produced in Stockholm by Paro (Paloma Faith/ The Wanted), co-produced in LA by Brian Lee (Lady Gaga/Cary-Rae Jepson), mixed in Atlanta, Georgia, and then mastered in New York; it certainly makes for a truly global record. 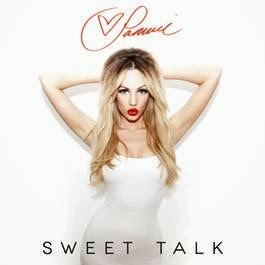 Sweet Talk is the lead single from Samantha Jade's album which is set for release in early 2015 and will feature previously released singles Firestarter, Soldier and Up! Welcome back Sammy J, we’ve missed you and it’s soo good to have you back. Until the official audio is available here is a remix of her last single Up! but you can grab your copy of Sweet Talk on iTunes pre-order now..!